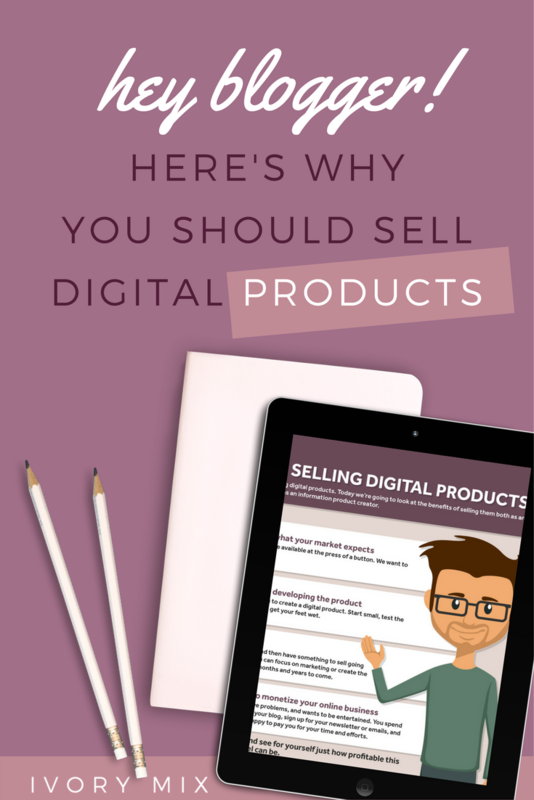 Selling digital products has a lot of benefits which make it an excellent business to go into. 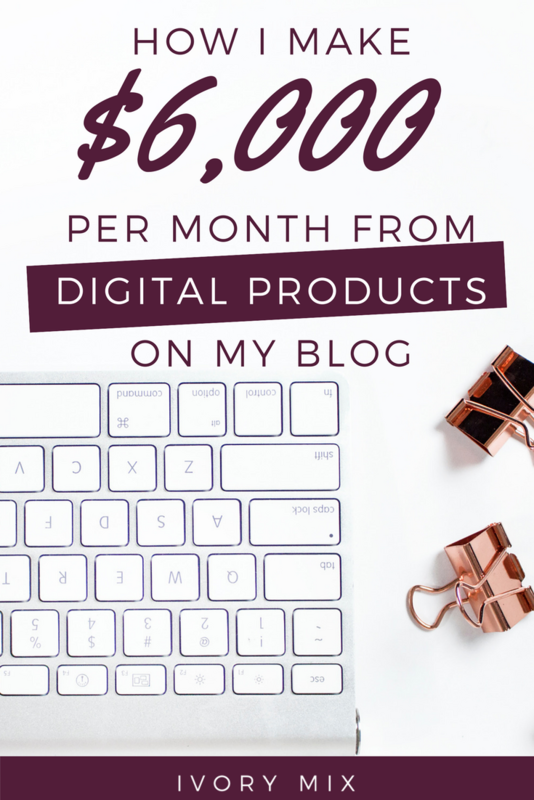 Here, I explain some of the advantages you get when you set up your blog as a business that sells digital products, much like my blog and business that you are visiting now! When I first started my blog in 2010, I had zero interest in blogging about blogging or posting my income on the internet for everyone to see. That said, teaching others what I know while also working on and in my own creativity is a no-brainer. I’ve been doing that for as long as I can remember. In a traditional career and here, with my blog. Hi, My name is Kayla Butler, and I’m the photographer and Creative Director of this blog and website known as Ivory Mix. It started as a hobby and is now bringing in a full-time income. I work on projects I want to, create and sell stock photos for other bloggers to use on their websites and in their digital products, and I teach what I know and have learned through online courses. How did blogging begin for me, and how did I get into selling digital products? The difference between blogging and blogging for profit is the way you choose to monetize. I started this website you are on as a hobby. It’s since made me thousands of dollars and has become a full blown online business for my family and I. Which leads me to note that this Blog post contains True stories and links to items I’ve made to help you learn and for products I actually use (using my affiliate links below). You can poke around and learn more, but the income we receive is from multiple channels, including almost exclusively, the sale of digital products. It started with selling ad space, then as things changed and I learned a bit more, it grew to creating products (online courses & stock photography). In 2010, I started and ran a DIY and Craft blog. I posted things like Mickey Mouse Cupcakes and Home-made valentine cards. This was my best effort to use my skills as an Interior Designer and Blend in my favorite hobby, photography. 2010 Income strategy: Beyond Ad’s, I had no real income strategy. I had heard that blogging for money was as easy as posting ad’s in your blog posts. But all I ever saw was a few dollars. I had quit blogging at some point on my DIY and Craft blog and felt the need to restart with some new ideas. DIY and crafting as a blog was not a sustainable idea for me. Although I enjoyed photography, the constant need to make things was daunting. So, I started a few new blogs, one being Ivory Mix (this website), and the other two were about Poetry Blog and a blog about Productivity. I was really trying to find my way, search through my interests and strengths, and what was going to fuel my blogging passion. 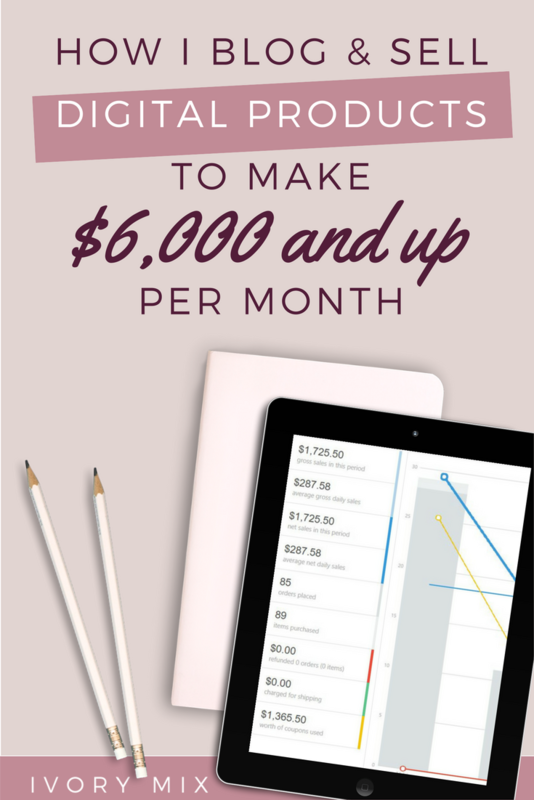 2014-2015 Income strategy: Again, I wasn’t sure how to go about making money from a blog. At this point, I had had nearly removed all ad’s because they were not attractive and made nearly $0. I had made it my goal to rebrand my Ivory Mix website and take all new photos. I found that photography and branding websites were my favorite part of blogging! By this point, I had learned how to use my DSLR really well and knew it wouldn’t be an issue to play around with it. So, I took well over 50 photos for my blog and knew that I couldn’t use them all. So, I started sharing my photos as “Stock Photos” for other bloggers. This helped me gain new subscribers faster than I had ever known. I felt I had finally tapped into something because I was amazed that I was getting 30 new subscribers every day! January 2016 Income strategy: Still only monetized through ad’s and Amazon but at this point, I had also started blogging about blogging. SInce sharing my stock photos, I had met a lot of other bloggers online at various stages. Blogging about blogging, branding, and marketing felt like a natural shift in my content because I was determined to learn and one of the best ways I know how to learn anything is by sharing what I had learned. 2016 – BEYOND – Skip ahead and we’re now selling hundreds to thousands a day from digital products! Income strategy: I had, by this point, completely abandoned google ad’s. It just doesn’t feel right on my blog, however, creating things of my own passions and sharing what I know feels right! So, you’ll notice the majority of my income comes from digital products like online courses, photos, and more. 14,700 Subscribers and growing by 1700 a month! The thing is, I didn’t know what I was doing for years, and it took me way too long. No, you don’t have to have it all figured out to get started. That’s the beauty of blogging. There are a ton of free resources out there to help you learn what to do, and when to do it. So, if you’ve been wanted to learn how, there is no better time than now. Starting a blog today is as simple, easy and fast as setting up a social media profile. In fact, you can scroll down for the 3 simple steps it takes. Anyone can start a blog but, how you choose to monetize it and learn along the way is what will make the difference! Whether you know it now or not, your audience loves digital products! The first and the most important reason why you should start selling digital products is that this is where the market is currently focused. With advancements in technology, the information you need is just one click away. Everyone wants information that they can quickly retrieve and read immediately after they have made payment. Your clients may not be patient enough to wait out the delivery period of physical items. They need instant access to their purchase. Considering the cost, you incur when developing a product; digital products offer a lower cost. The time taken in the development of the product is your biggest and most significant investment, which isn’t that bad. The best way to start though, is as an affiliate. This way, you gain a bit of insight into the business of selling digital products. You can then go on to create short mini eBooks or printable documents in pdf format. You can sell these on any website you run, and it won’t really cost any additional money to do that. There’s a chance, if you’re just starting out, that you may be running on a budget, you should avoid outsourcing to editors, writers, or graphic designers till you start making a reasonable income. This option will always be available to you in the future, and you’ll find that as you grow your business, you’ll want to outsource some things to help you scale and grow faster and give you a more passive income that you’ve been looking for. Digital Products Can and Will Keep Selling, Even Years after You Make It. Another great benefit of digital products is the fact that you do not need to do any extra work after creating the product. Once a digital product has been created, a good marketing strategy is all that is required to make great sales. After establishing a good market strategy, you can expect a steady flow of income from time to time leaving you with room to develop another product to sell. Digital products are just more profitable! The last benefit I will be highlighting is the profits you stand to gain from digital products. While your online business may be booming, it requires effort to get people to subscribe to your newsletter and interact with your blog. Once you earn their trust, they start to appreciate the time and effort you put into providing relevant information to them. This increases your chances of having them invest in a digital product which can offer more information on what they have been searching for. 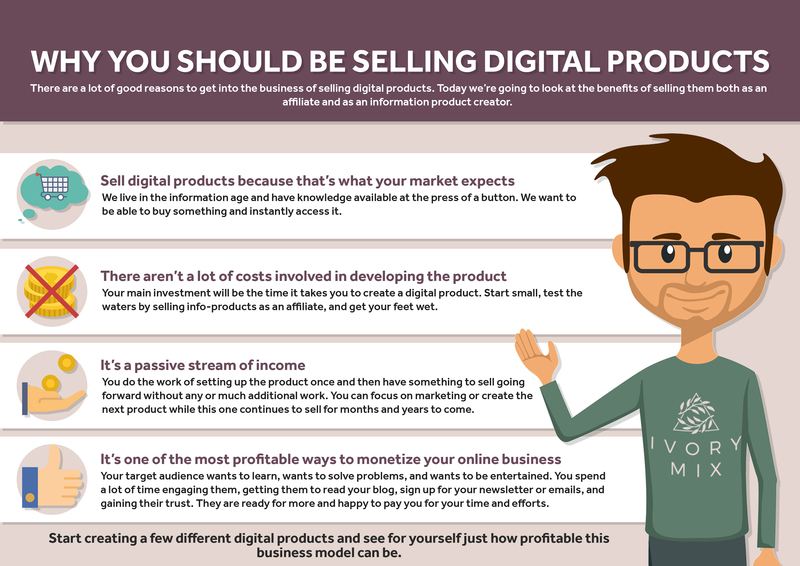 This is one major reason why selling digital products can be a very profitable venture for anyone into an online business. A digital product funnel is basically about starting with the creation of a free or cheap product that will entice people to sign up for your email list – But then, you must step up your game towards the selling of goods that are more in-depth (cost money/cost more money). Products that have an enhanced training and will get your audience and customers more involved, more complex products that will provide them with a more detailed knowledge of what they are looking for. 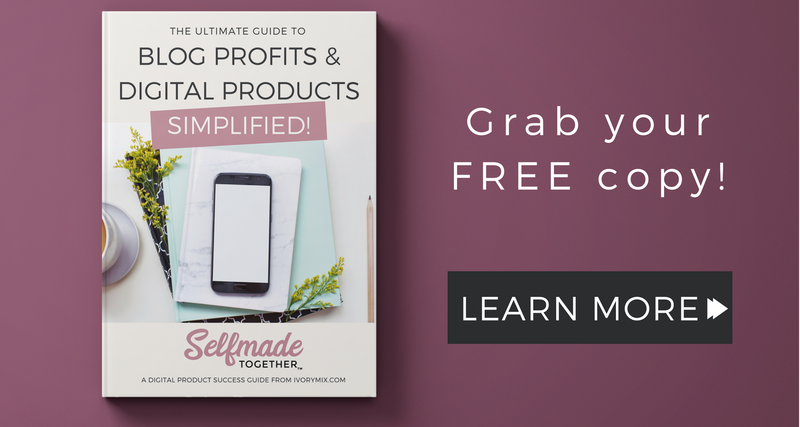 With this method, you can sell multiple products of different prices and formats to a single customer rather than selling only one tiny-sized ebook that has just the basics. Making sure that your freebie / opt-in actually matches your target audience is one key component to a product funnel that gets over looked. Finding your customers is the most challenging aspect of marketing digital products. After you’ve clinched that first deal with someone, and that person finds you trustworthy, selling other products to them becomes less difficult. This is what makes product funnels very important. You will have more fun marketing your product to those who know about it and love it than to those who have no idea or interest in your product. The important thing to remember here is that people might be related to your target audience, but they may not actually BE YOUR AUDIENCE. You must spend some time really diving deep into who it is you are marketing to. What are their needs, and are you meeting it? To start your draft product funnel, begin with a lead magnet (freebie / opt-in) and then a low-cost introductory product. After that, include an outline of other FUTURE products you would create as time goes by and your audience remains on your email list. In between the promotion of your different products, you fill in your communication to subscribers with follow up emails, updates, additional tips, and relatively no-promo type emails. This allows your customers to feel at ease and that you’re not pushing products down their throat all the time. ’cause . . ew.. The Reality is . .
Having a standard product funnel is a continuous thing that can and will take you months and years to build. Starting with just one freebie and one paid product is a good place to start. As you get more familiar with your target audience, you can now improve this funnel and offer products that will satisfy their wants and needs. Your work shouldn’t and won’t end there though. When you are done creating that basic digital product funnel, go back and view it from another perspective. Is there a way you can create other intro products and lead magnets that will draw more people to your product funnel? Of course, as you create more, your sales, customers, and subscribers will increase. Whenever another product comes in, with the rest of the funnel in place, your income potential multiplies. By this, you stand a chance of building a flourishing business whose growth will never end. After creating your first digital product and you are hoping to kick-off your blog by creating digital product as your business model, the next step is to consider a product funnel. The next thing to do is to think about any other thing your customer might need to know. Think about what they might require help with, what the next step in the process will be and the next task they will need to undertake. Then your next product could be how to write a sales page for an eBook, or how to sell it. It could also be on how to select and begin a shopping cart on their site. You could also decide to make another product a course on marketing information products or creating a product funnel and producing cross sales. 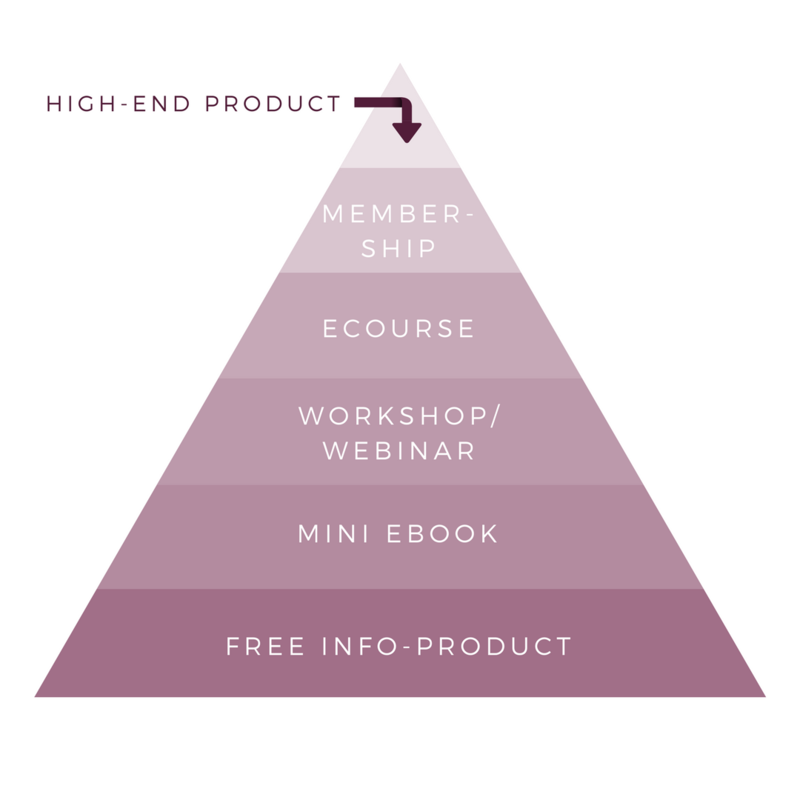 From this point, your product funnel can be built out even more by offering them more personalized, close help through several intensive courses, personal coaching and group coaching. The more you become involved personally, and the more time it takes you to deliver what you have sold, the more costly the product will become. The product funnel idea just requires you to begin with a low priced offer, and then gradually move your customers to higher priced products. It is only a little percentage of your client base that will move to your highest priced products; however, this should not bother you. Try to consider what products will be preferable in your own product funnel. Begin with essential items, e.g., the low-priced introductory product. Then carry out a plan to develop more products for your funnel. Continue to bring out more digital products your audience will love and consume until your product funnel comes out which will up sell and cross-sell your customers to various products. The basic idea here is to increase the amount of money your average customer spends with your over time. When you do this, you will find out that your digital product business will continually grow. Hell yes! This is awesome. I just launched my first course (lantern.teachable.com – I so love Teachable!) and am trying to think of more that I can create. Your post gives me even more motivation! Oh my gosh. That’s great! I love that you’re feeling more motivated. It’s a great strategy for blog income combined with your passions.